The Wynn Plaza Shops present a new and colorful environment for shoppers with big budgets. I’m not quite sure how many folks have unlimited shopping budgets, but Las Vegas seems to think rich folks need even more options. 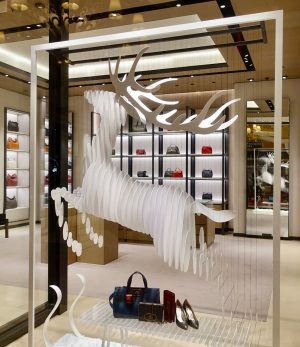 The newest additions to the Las Vegas luxury shopping experience are the Wynn Plaza Shops which had their official opening the week before Thanksgiving…just in time for holiday shopping. 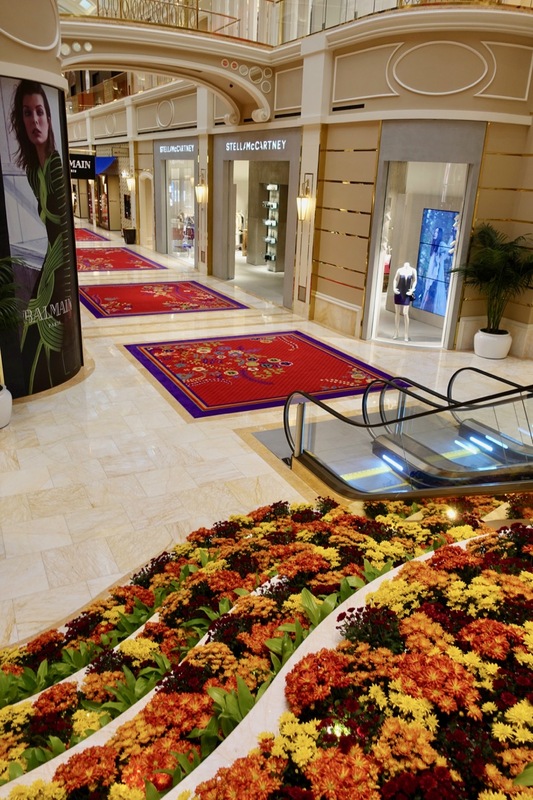 The Wynn’s Encore Esplanade shopping area remains, but the Plaza Shops give shoppers easy access from the Strip and add to the Wynn’s luxury appeal. I visited the Wynn Plaza Shops last week, and my video is attached. I would typically not shop at luxury shops, but I loved walking through the new shopping area and simply enjoying its beauty. Two dining spots in the area also looked quite intriguing. I even loved the area’s new ladies room. Although I don’t understand the luxury world, I picked up the following piece of information about ownership of Wynn’s shopping areas among early Wynn press releases. Obviously, big money is involved. 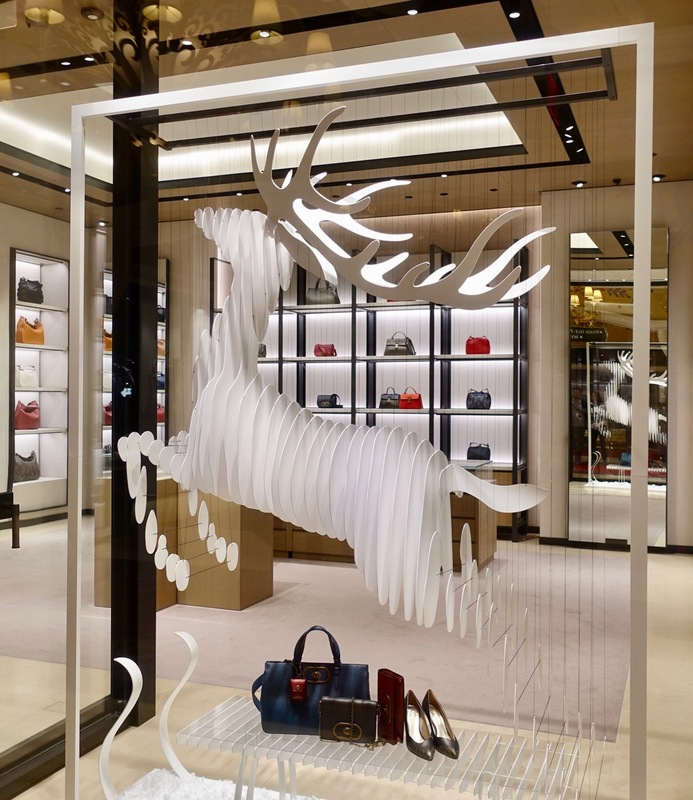 Bottega Veneta in the Plaza Shops is ready for the holidays. On another subject: If Plaza Store customers spend more than $50 (and it’s almost impossible not to spend that much), they qualify for free valet or free self-parking. The Plaza Shops are open Sunday through Thursday from 10 a.m. to 11 p.m. and on Friday and Saturday from 10 a.m. until 12 a.m. Drink too much on a Saturday night, and one may end up with an $8000 dress! The clerks look bored, the stores look empty of people, but I suppose one sale at those prices make their quota for the day. $150 for a pair of socks! The coffee shop looked promising, but wonder what their prices are. Let’s check back in 6 months to see if the clerks in the retail stores are still bored. Beautiful resort but Las Vegas, in general, getting too expensive for the average tourist anymore. Maybe I am just getting too old, but I miss the $1 shrimp cocktails and rooms for not much, but still nice and clean, to just lure you to stay at their hotel and play in their casino. You can’t beat all the holiday decorations in the hotels around Christmas time, though! Thanks Diane, you saved me a trip. It was a great article and I love seeing the new shops without having to go there. My theory is always if I have to ask the price, then I can’t afford the item. Seems I won’t be able to afford any of those item any time in the foreseeable future. But loved your trip.